Murray McMurray Hatchery - You need to upgrade your browser for security reasons. Home / You need to upgrade your browser for security reasons. You need to upgrade your browser for security reasons. We have detected you are using a browser that uses TLS 1.1 or below as the protocol to encrypt data during secure sessions. Additional information. TLS 1.0 is insecure and will not be supported starting June 1, 2018. 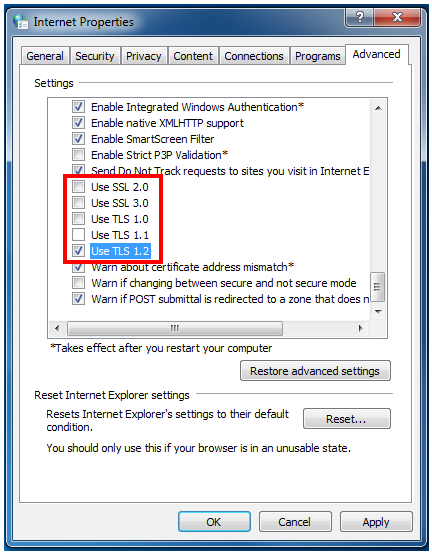 We advise all affected users to upgrade to the latest versions of their browser or make changes to disable TLS 1.1 and below. TLS 1.1 is an older protocol and support will be discontinued in the near future. Select 'Internet Options' > 'Advanced tab'. Scroll down to the 'Security' section at the bottom. 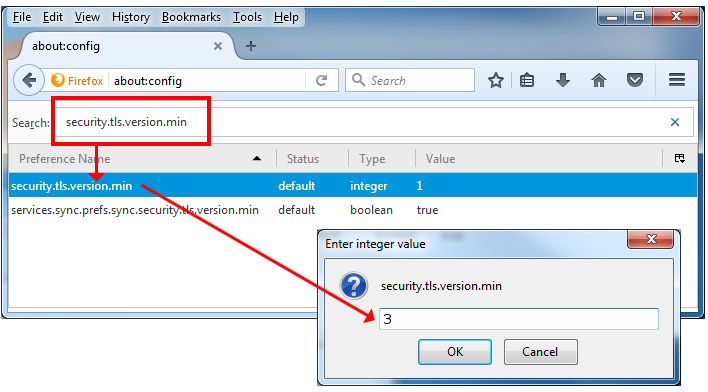 Type security.tls.version.min into the search box. Press Alt F and select 'Settings'.